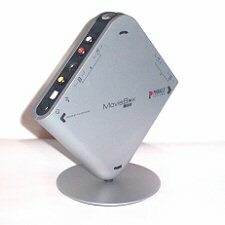 The Pinnacle USB MovieBox is a hardware MPEG capture unit, which encodes a video signal into an MPEG file and sends it to your hard disc via the USB connection. It comes supplied with a stand as show in the picture above, which is total impractical for everyday use. It also has rubber pads on the sides so it can be laid flat, which is the way most people will use it. Installation was a drawn out affair, as you had to install the software (Pinnacle Studio 9), reboot, install the drives for the device, then reboot, and then install addition files from the second disc. Even though this DVD is marked as Bonus content it still takes 19Mb of hard disc space even if you don't select anything to install. Along with the power supply you get a standard Type A to Type B USB cable. 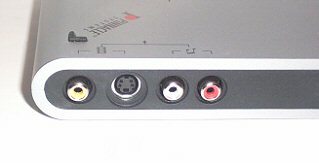 Despite the array of inputs and outputs there are no video or audio cables supplied. The unit has a curious double grill at the one corner, which may be for ventilation. It does make some odd clicking noises when in use. The documentation for the unit is limited to the Quick Start Guide, which is 6 pages long and is then repeated in six languages. You have one page on the system requirements, which includes 256Mb RAM, USB 1.1 or USB 2.0, DirectX graphics card, DirectX soundcard, 500Mb of hard disc space, and the usual mouse, speakers, CD-ROM drive combination. 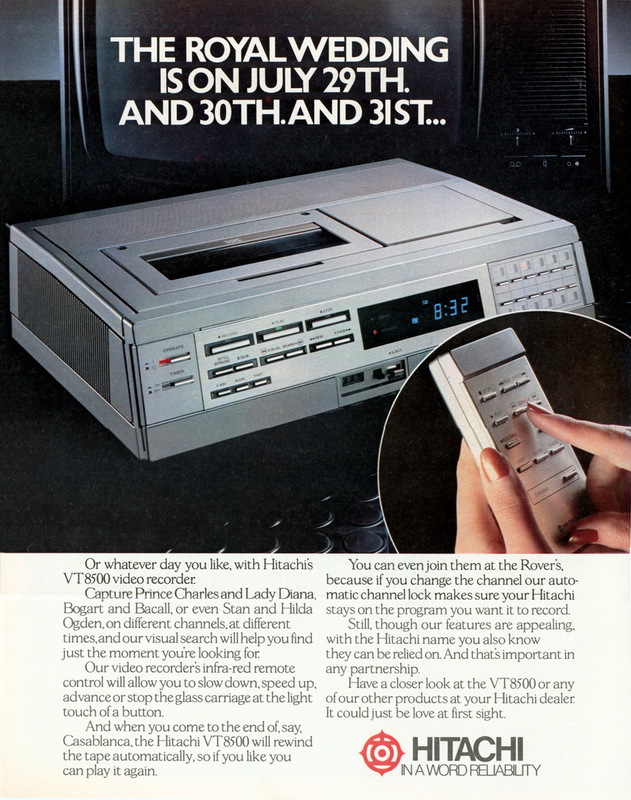 You then have a page on the contents, one page on installing the software, two pages on connecting the MovieBox to devices and a technical data sheet. 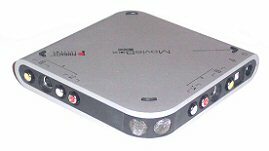 As this is a hardware capture device, it does not work with any other video software, like AMCap (which is installed with Studio 9), Sony's Video Vegas or any of the Ulead suite of programs. The only software that the device will work with is Studio 9. Even though the unit appears in the list of capture devices in other software packages, it will not work with them. As the software used is Studio 9, and this has been previously reviewed, I won't go into too much detail about it, but mention features directly used with video capture. The first time you run Studio 9 it asks for a CD/DVD to put into your drive to test for speed. It then reminds you to check for updates, which is pretty insistent because if you say no, it comes up with another message that you should check for updates. Unlike other USB devices, it must be plugged in a powered on boot up. Studio 9 does not show the Pinnacle USB input device if you plug it in after Windows started, and in some cases the program crashes if you plug the device in after you have started the program. As the video feed goes through the device and then through the USB connection to the PC, there is a delay of about two seconds in the preview and capture. This doesn't really matter, unless you are recording from a live source (like a video camera). When I started the capture there was a short delay of about a second before the capturing preview updated, but even though the display was blank, the capturing had already started, and when the display came back, the counter had already moved by a second or so. I captured one file, and then the preview didn't work properly, freezing the video display. The display was not very bright, and the system was nearly unusable. I applied the 27Mb patch to version 9.0.8 and the preview worked correctly, and the brightness seemed slightly improved. There is no choice on the audio when it is captured, which must be from the box. Other video capture cards use the input from your sound card, but everything comes through the box to the PC via the USB. 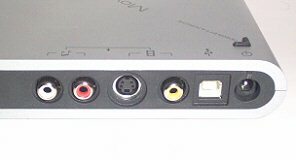 The cable you use from the video source must be to a twin phono socket for the audio, but there are no video or audio cables supplied. Grabbing a still frame does not work with video input. You can see the preview and press the grab button, which highlights, but nothing happens after that. When I then clicked on the Movie option, it generated program errors and closed the program. A still image can be grabbed from a captured video, only if it is dragged to the frame area in the bottom area of the screen. The Smart Movie option, which creates a music video, is also prone to problems. I added one clip twice (as it recommends the video is twice as long as the audio), added one music clip, and then clicked on Smart movie. After a while a project had been created with clips from the video source sequenced to the music. I then tried to add an effect to whole video, choosing lens flare. My PC then rebooted. I tried again, but saved the project before adding the effect, and it worked fine. As with other video editing programs, Studio 9 does not like you to add different format clips to a project. I tried the Smart movie option with three clips (two from DVD, one from VCD). It warned me that the lower resolution files (VCD) will be rendered at the larger resolution, and when I added the music and clicked the Smart movie button, the program quit after rendering. It also seems to open a blank Active Movie Window every time an mp3 file was selected as a source for music. The Make movie (output to tape) option only works with mpeg files (mpg, m2v, mp2, mpv, m1v, mpa) not AVI. That is, until you select the option of saving your project as a AVI file. You can open any file from the Open File option, and it will output to the Playback device, which is can be the VGA Display (i.e full screen on your monitor) or the MovieBox video/audio outputs. You plug your video recorder into these outputs to record your movie, but the video recorder needs to be close the unit. I used a video transmitter to send the signal from the box to my VCR in another room, and this worked fine. The only problem is that there is no preview on the PC, other than the first frame of the file about to be played. You do not see anything in the preview, and as the audio is also coming out of the box and not going through your sound car, you don't hear anything either. Having said this, it handles most formats of mpg irrespective of the TV format or frame size. Video CD files should 352x288 in size for a PAL format, and although it played NTSC and other sized files, the picture is not smoothly converted, resulting in blocky vertically images. Some of the videos I tried had too much brightness on the television display, especially when there was a light coloured background or people wearing white clothes. There are no controls to adjust the brightness, colour saturation or contrast on playback, only on the capture input. You must render your project before outputting to tape and cannot play the project direct. The capture device captures video without dropping any frames, but I found the video editing software to be unstable and slow. Even editing a five-minute mpeg file, I had noticeable delays in moving around the project. The manual recommends closing any other program not required, and recommends EndItAll, which can close any applications and processes running in the background. The quality of the captured video is fine if you select DVD, but the algorithm used for Video CD (quarter video size, popular as it can be burnt it normal CD-ROMS) is blocky and has noticeable artefacts. This is only in video capture, as I couldn't see any problems with video rendered from a project in the Video CD format. What was strange was the full screen aspect ratio was not correct, and I had black bars in the sides of the screen. If you are using the rendered file to output to tape or burn to Video CD then this won't be a problem, but if you intent to use the video file only on a PC, you may be concerned with this anomaly. Using the timeline to create a project is almost intuitive, but when adding titles and transitions to video clips, sometimes they would not be included in the final rendered video file, even though they appear correctly when you play the project. There is also no crop feature once you have captured your file (you can set a crop feature before you capture footage). Vegas Video has this feature and it means you can crop out something from the frame and resize the footage to fill the screen. I cannot really fault the raw capture ability of the USB MovieBox, but the numerous faults in the Studio 9 software when rendering footage or editing the clips means I would edit the clips using a different program. 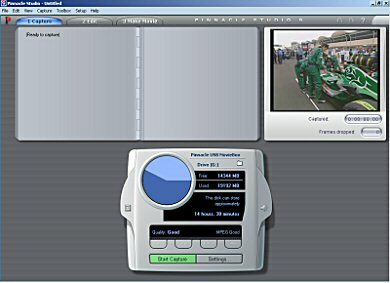 If the driver was rewritten so you could use the capture device with other video editing software, or Studio 9 was not so resource hungry, slow to use and riddled with faults that can cause the program to crash or reboot your PC, I would say that this has the potential to be a powerful package. Unfortunately as it stands, this is not the case. The unit is also available in a DV edition.